General Motors Corp.'s auditors have raised "substantial doubt" about the troubled automaker's ability to continue operations. The company revealed the concerns, raised by the accounting firm Deloitte & Touche LLP, in its annual report filed on Thursday. GM has received $13.4 billion in federal loans as it tries to survive the worst auto sales climate in 27 years. It is seeking a total of $30 billion from the U.S. government. During the past three years it has piled up $82 billion in losses, including $30.9 billion in 2008. Also revealed in the filing was GM CEO Rick Wagoner's salary for 2008, which was $5.4 million, down from $14.1 million in 2007. This year, Wagoner has vowed to work $1. GM says in its report that its auditors cited recurring losses from operations, stockholders' deficit and an inability to generate enough cash to meet its obligations in raising substantial doubts about its ability to continue as a going concern. The company said in its filing that its future depends on successfully executing the viability plan submitted to the government in February to justify the loans. "If we fail to do so for any reason, we would not be able to continue as a going concern and could potentially be forced to seek relief through a filing under the U.S. Bankruptcy Code," GM said in the annual report, filed with the U.S. Securities and Exchange Commission. First - GM has to make cars people want to buy. 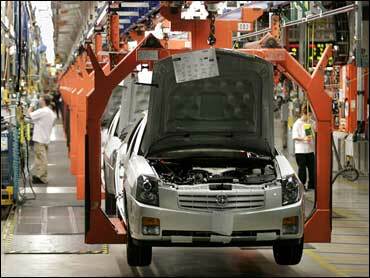 Second - GM needs relief from its labor agreements. Third - The economy must begin to improve quickly. GM, the report said, is highly dependent on auto sales volume, which dropped rapidly last year. "There is no assurance that the global automobile market will recover or that it will not suffer a significant further downturn," the company wrote.